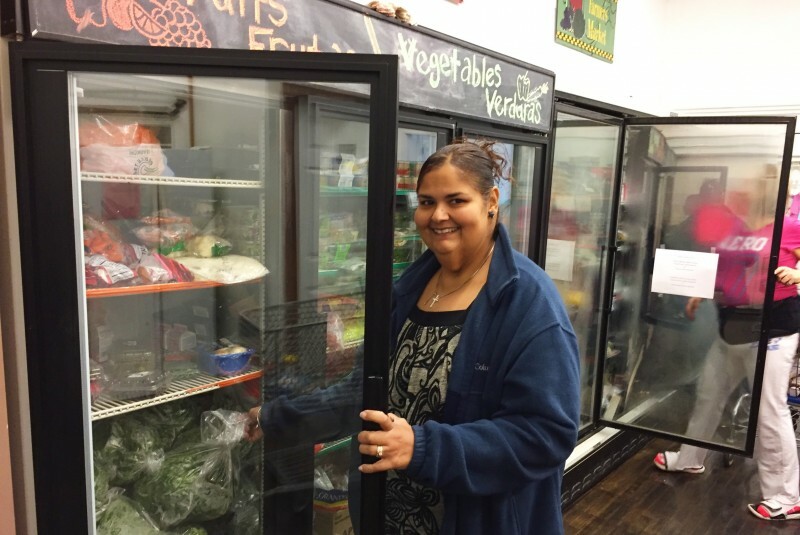 Program director Shawn Keener stocks her pantry with nutritious food, and clients like Lisette say they eat and live better as a result. United Church Outreach Ministry is doing more than just fighting hunger in their Wyoming community. They’re on a mission to help their neighbors build healthy lifestyles, starting with the food they eat. Program director Shawn Keener has been involved with UCOM, one of Feeding America West Michigan’s agency partners, for 20 years and loves the community and holistic care. 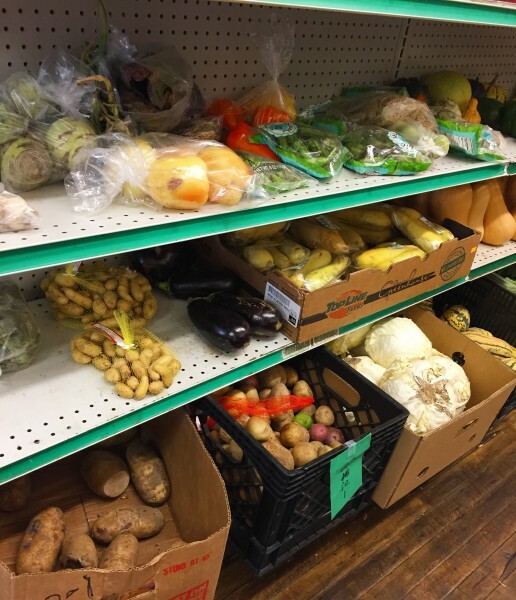 The food pantry acts as a gateway and opens up other opportunities in assistance including classes in fitness, gardening, cooking, finances and health. 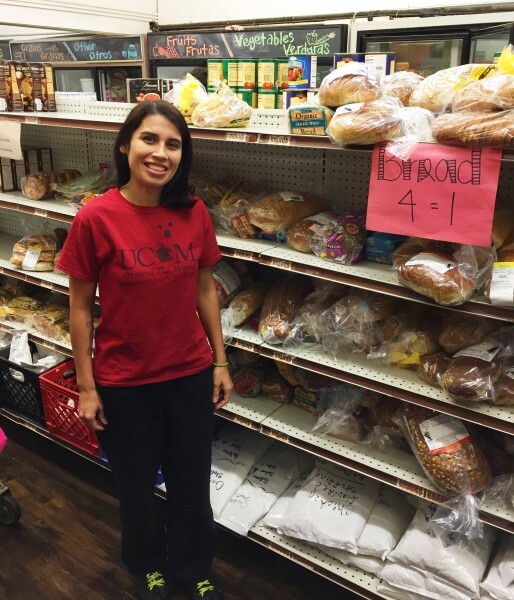 As program director, Shawn coordinates food distribution in partnership with other organizations, especially Feeding America West Michigan, where much of the food in UCOM’s pantry comes from. 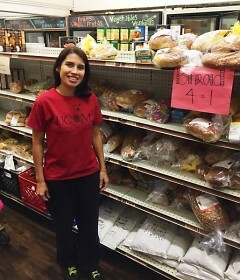 She orders healthy items like produce, dried beans, rice milk and other foods low in sodium and sugar from the food bank on a weekly basis. “We would not have the quantity if it wasn’t for Feeding America,” Keener said. An important initiative at UCOM is the Pantry Plate, a visual reminder based on the USDA’s MyPlate that emphasizes healthy eating. With this guide, families are encouraged to pick out more fruits and vegetables, with smaller portions of proteins, grains and dairy. “We want people to get as much nutrition as they can from the pantry,” Shawn says. In addition to Feeding America West Michigan, UCOM also receives produce from local gardens. The ministry cultivates a small garden plot on their campus and receives produce from the community garden Metro Health helped them create at nearby Marquette Park. Local growers like Groundswell Community Farm in Zeeland and Green Wagon Farm in Ada also pitch in to ensure their shelves are stocked with the freshest produce. A group of clients even had the opportunity to visit Green Wagon Farm and personally experience where and how their food gets from farm-to-table. “People are learning a little bit more about where the food comes from,” Keener said. Fresh fruits and vegetables are go-to items for UCOM client Lisette in providing healthy meals for her husband and three hungry boys. Lisette’s income isn’t big to begin with, but after she’s paid housing, utilities and other expenses, she doesn’t have much left over for healthy food. With access to the pantry, she now has new opportunities to incorporate more produce and healthy options into meals. Great article, Ellie! We love this initiative and the value it places on healthy food.